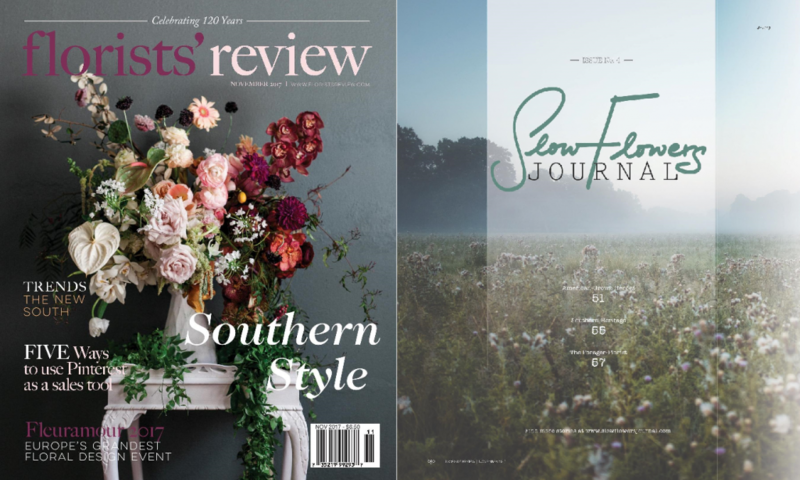 The “Slow Flowers Journal” is hitting its stride, with the November issue of Florists’ Review — our fourth consecutive month of publication. 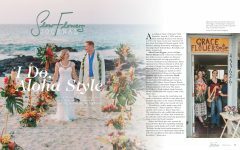 It’s exciting the see my vision for a magazine focused on storytelling about the Slow Flowers community — flower farmers, floral designers, farmer-florists and other leading voices in progressive floristry. I’m excited for you to read the stories featured in the November issue! Enjoy this unique point of view with uncommonly beautiful images and inspiring stories. 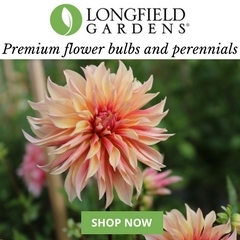 Along with the readers of Florists’ Review magazine, we’re creating a relevant narrative about honest flowers and the people who grow and design with them. November’s lineup of stories and articles are highlighted here and I’ve provided downloadable PDFs of each article so you can read them on your computer, tablet or smart phone. We can’t post live links to digital stories, so if you want your own edition, now’s the perfect time to SUBSCRIBE! 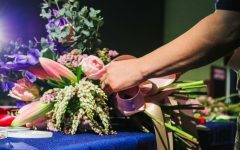 There’s so much innovation taking place in the South, as flower farming and the use of local, seasonal and sustainable botanicals is having a renaissance. 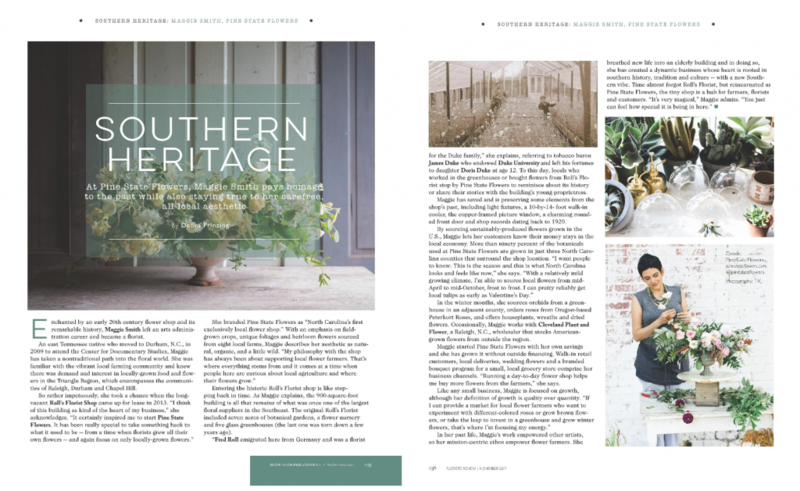 Read on to learn more about our editorial content with a distinctly Southern flair! 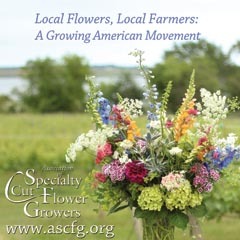 Our FEATURE STORY: American Grown Heroes: Southern Flower Hubs, introduces five dynamic collectives of flower farmers and florists throughout the South. 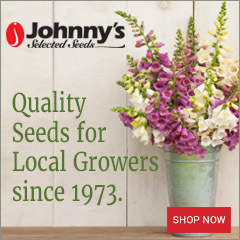 Each micro-regional group reflects a shift in how flowers move from field to florist. 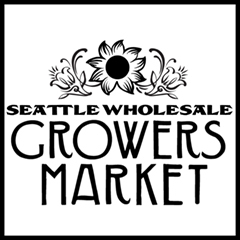 These groups are primarily farmer-driven, and rely on creativity, an awareness of what their market wants, and a willingness to partner with erstwhile competitors to create a “rising tide” effect. 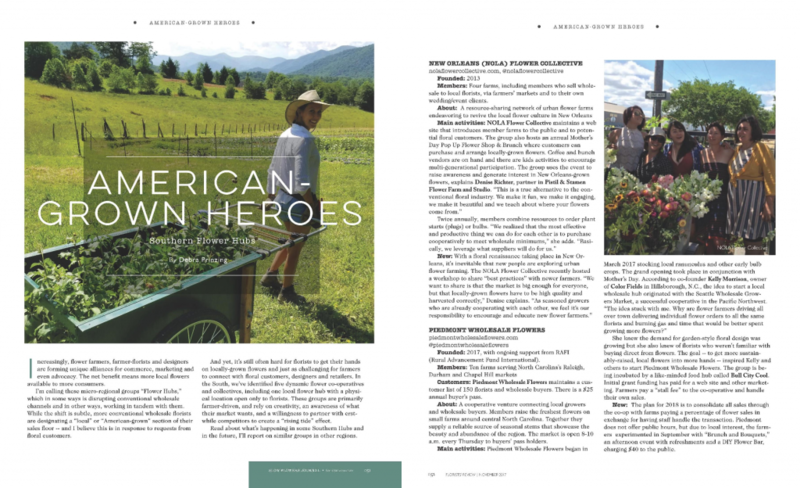 Download the full article here: AMERICAN GROWN HEROES_SouthernFlowerHubs. 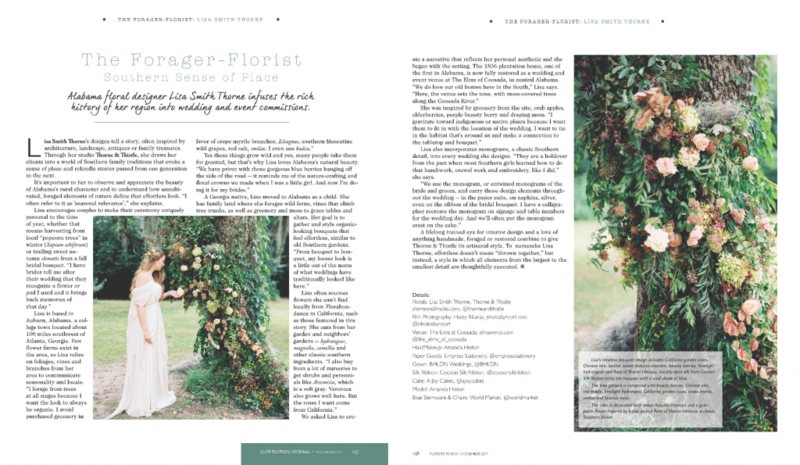 The RETAIL FLORIST feature is all about Maggie Smith, owner of Pine State Flowers in the Raleigh-Durham, North Carolina, region. 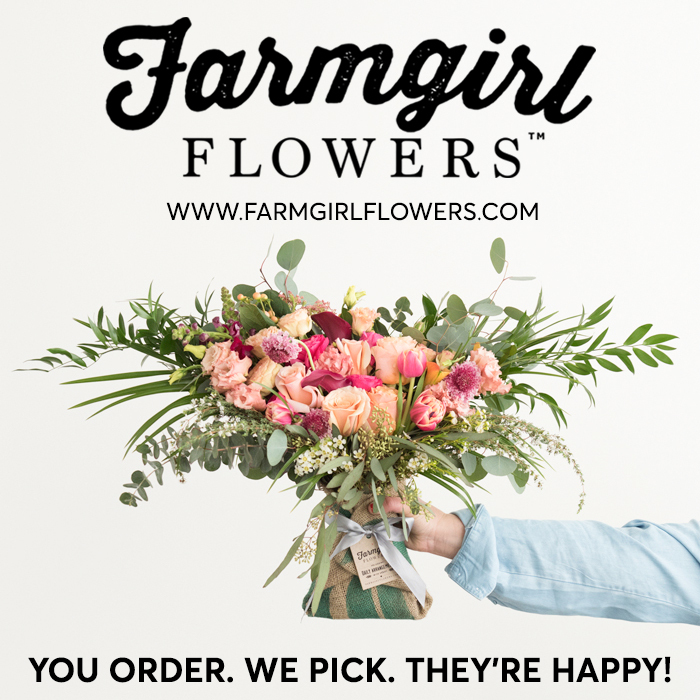 Maggie branded Pine State as “North Carolina’s first exclusively local flower shop,” and she has incubated and nurtured many flower farms in her region by sourcing from them throughout the year. 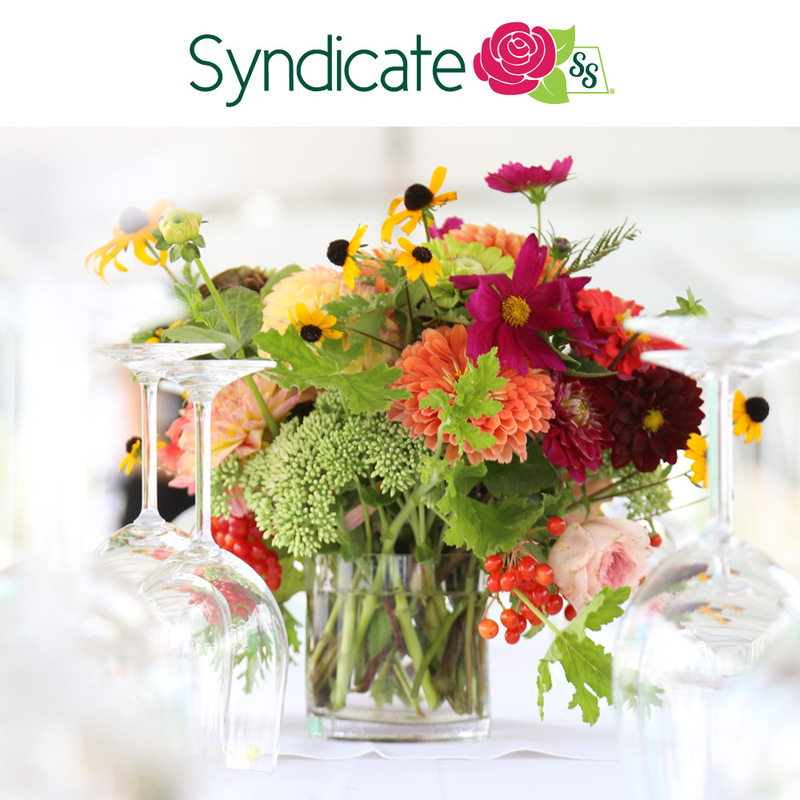 Each issue features an inspiring piece about a creative in the “Farmer-Florist” or “Gardener-Florist” category. 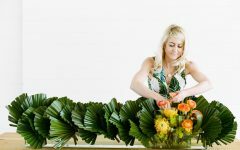 For November, I called this article “Forager-Florist” and highlighted the work of Alabama-based floral designer Lisa Thorne of Thorne & Thistle. Lisa’s work is gorgeous, romantic, truly Southern, and often foraged. Learn volumes about what inspires her and download the article here: Thorne_&_Thistle.